All 24 Apple Store promotions have been verified and tested today! Benefit from free shipping on your order. Requirement: you must purchase AppleCare. This order can be shipped for free. Must be enrolled in the Apple GiveBack Program. With trade in of eligible computers with the Apple GiveBack Program. If you want to get big savings you should shop for Apple promotions in the refurbished and clearance devices. 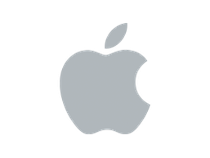 Just scroll down on the Apple homepage, and click “Refurbished and Clearance” from the list of links to get started, and browse discounted devices from Macbooks to iPhone, Apple Watch, Apple TV, and more. Refurbished devices are backed by a full, one-year warranty. If you’re a student, you can get great deals at Apple. Just click “Shop for College” on the Apple website. Then, you can get special savings on iPad, Macbooks, and iMac computers. This program is available to college students and their parents. In addition, it’s available for all staff and faculty members, as well as homeschool teachers of all grade levels. If you are a veteran, retiree, active-duty member of the US Armed Forces, or an immediate family member, you can save big. Just verify your identity with ID.me online, and you could get savings of 10-20% or more on most Apple products, including iPhone and Macbook. Whether you need a new phone, laptop, or any other product from Apple, you’ll be able to save with CNN Coupons. Start shopping now, and see what kind of deals you can find. In addition, your points do not expire, and there is no annual fee for this credit card, so you can get signed up now, and start earning rewards at Apple now. Combine this with an Apple promotion, and save even more. If you want to save even more at Apple, you may be able to get a big discount on your next purchase by trading in your current device when you purchase a new one. To get started, head to Apple and then scroll to the bottom of the page. Select “Apple GiveBack” under the “Apple Store” heading from the list of links. After this, just follow the rest of the instructions, and you’ll be able to get Apple Store credit for your device and put that money towards a new device. If you can’t quite afford the full purchase price of a Macbook or another device you’re not alone. That’s why Apple offers special, 18-month financing on select purchases. As long as you make your payments on time, you will pay no interest during this promotional period, so it’s a great way to stretch your dollar further.